The XPRS-HOST-EC is mounted in a notebook computer system with an ExpressCard slot. The kit of XPRS-HOST-EC product includes 2 cables with length of 1.6ft / 0.5m. 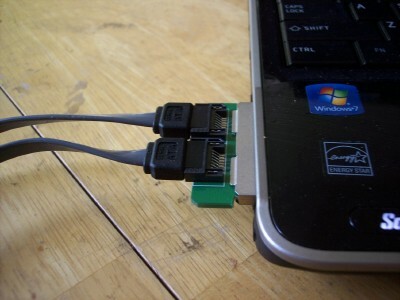 Connect cables on XPRS-HOST-EC, and insert card in the slot of the notebook system. 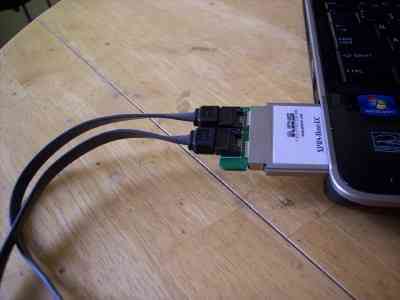 Plug XPRS-HOST-EC card, and latch in ExpressCard slot. 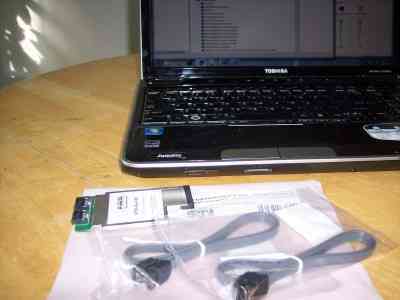 The XPRS-HOST-EC kit includes 2 cables with length of 1.6ft / 0.5m. 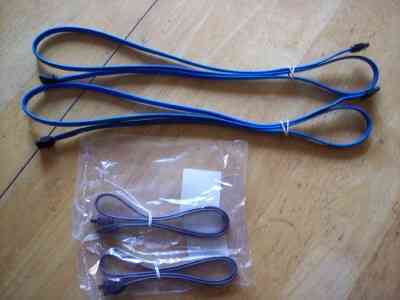 We offer 3ft / 1m cables set - to extend the length. Please note that the cables carry 3.3V which can power the mounted on the other side of the cable peripheral card. Using longer cable may reduce the total current available for the mounted peripheral card.